The Kanban methodology, so effectively used by Toyota in the 1960s, is all about improving the processes of getting work done while boosting quality and productivity. What started as a car factory system 60 years ago has turned into a productivity solution for businesses of all types, from retail to software development. At Hubstaff we use Trello to implement Kanban for nearly every project we undertake. We also recommend the tool to companies of all sizes. In this post I’ll tell you why we use it, and show you how to set it up. Translated from Japanese, Kanban means “signboard.” The idea behind Kanban is simple yet profound. As completing a project involves passing through certain steps, this agile system focuses on the different stages of the process and the quality of their execution rather than deadlines only. The Kanban method is highly visual and aims to illustrate each stage within a process and the interconnectedness between them. Even though it doesn’t focus on due dates, it improves productivity and the quality of the result. The basic structure of the Kanban system is a board. The board is split into different lists that represent the consecutive stages of completing the work. Within each list are cards. These are the smallest work units, or simply put, your team’s tasks. The Kanban process, in essence, is moving a card (a single task) from left to right on the board. On the left-most side is the To Do list – and you gradually push the task to completion until it reaches the Done list. Because the board offers a clear overview of all tasks and their progress, it’s easy to see where any work gets stalled. Trello is a project management tool perfectly suited for applying the Japanese methodology to your workflow. 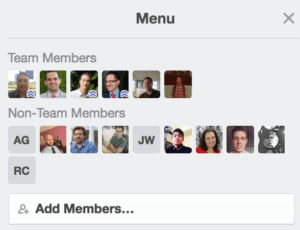 It offers a highly visual way to organize your team’s work so that nothing slips through and gets forgotten about or blocked. 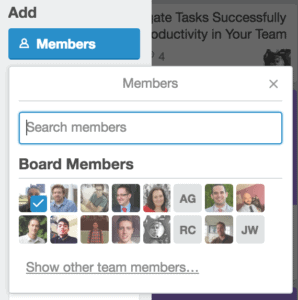 You can create separate boards for each of your projects, or dedicate a board to different sets of activities that your team needs to execute. Within the board you can create all the lists you need. 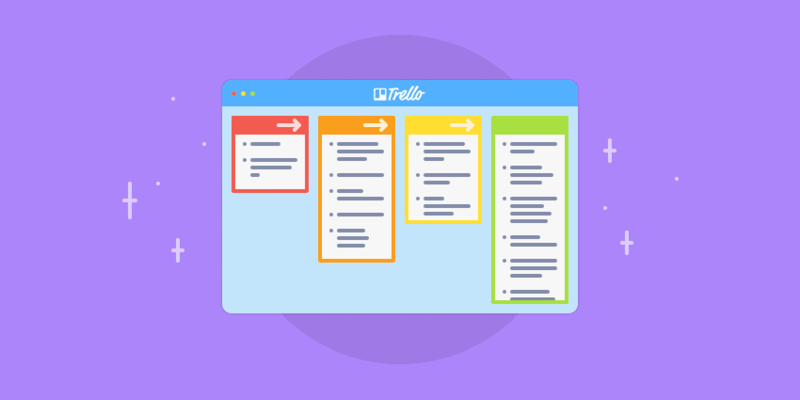 In the case of a Trello Kanban board, this means you can easily set up a series of lists that signify the different steps a task needs to undergo to get done. You can also name the lists according to priority areas and time sensitivities. 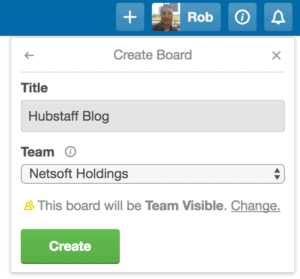 Below we’ll use our Trello account and the Hubstaff Blog board as an example when showing you how to set up Kanban with Trello. Just remember that one card equals one task. This is essential for making Kanban work with Trello. Define due dates. To make sure tasks get done on time, you can set the due date and time on the card. Trello will remind the members whenever the deadline is approaching and if it passes.To assign a due date, open a card and click the Due Date button on the right-hand side. After you assign a due date, click Save. 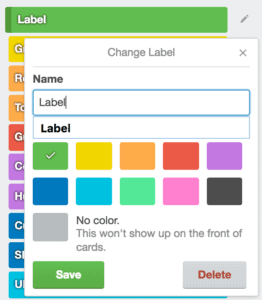 When you create the labels you want, you can assign a label to a card by opening the card and selecting the Label option on the right-hand side. Create checklists and subtasks within tasks. 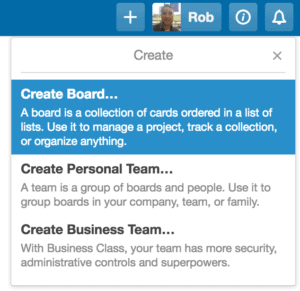 Within each card you can create subtasks in the form of a checklist. This is helpful for keeping track of different stages of completion for a large task. It’s also helpful when different subtasks need completed by different people.To create a checklist, open a card and click the Checklist button on the right-hand side. Move cards across lists. To follow Kanban in Trello, you must update the status of your tasks. This can easily be completed by clicking a card, holding down on it, and dragging it to the next list. So, how do you Kanban? If you have a different application you use for implementing the Japanese productivity methodology, we’d love to hear about it in the comments below. After all, there’s no one way to Kanban. 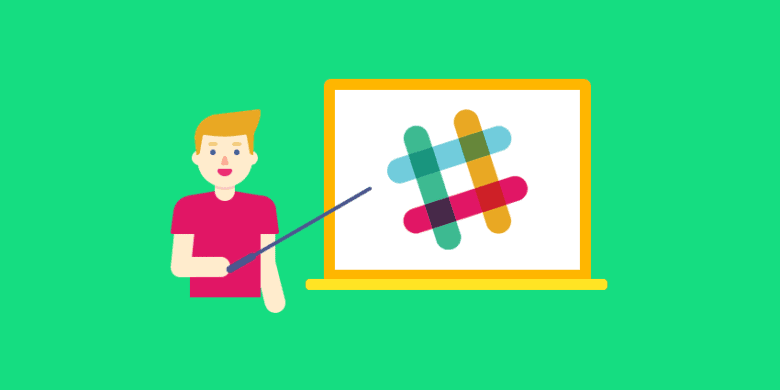 Have you considered using Slack as a project management tool? It offers benefits like boosting productivity, a reduction in meetings, improved internal transparency and company culture. Discover how to make the most of it with 10 important features we find indispensable.